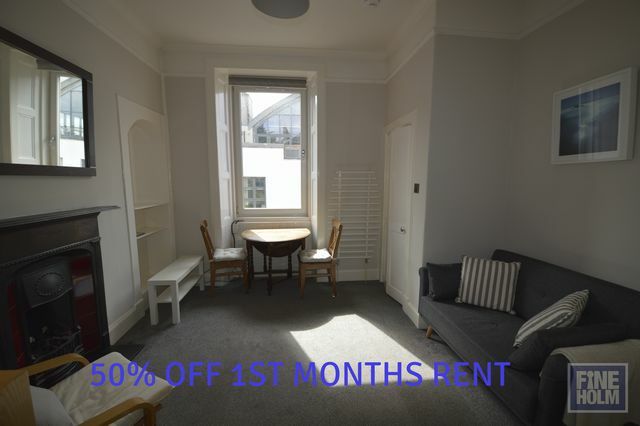 Beautifully presented 2nd floor furnished tenement flat in excellent location. The property consists of a good size hallway, with living room/kitchen off. This room is a good size and well divided into very usable space. The kitchen is well equipped with appliances in place. The living room is carpeted, with neutral walls, gas fire and well furnished. The room further benefits from a separate utility room. The bedroom is a great size, with excellent storage and contemporary furniture. The neutral theme continues in the bedroom. There is a separate shower room and WC, both maintained to a very good standard. The property further benefits from GCH and double glazing. Permit parking. Thanks again. I'll be recommending your office to everyone! I just wanted to tell you how grateful we are for all your efforts to unravel the mess at our flat....In particular, I'd like to thank Leanne who seems to have tackled everything large and small with professionalism, courtesy and pleasantness. She really is a star!